World of Warcraft is one of the worlds best known MMORPG, the game is no stranger to releasing expansion packs almost every other year and when Blizzard announced that they were making the next expansion pack based around Pandaren’s many fans thought that it would be a good change of pace while others thought the idea was simply dreadful. Some videos of the few new Zones to expect such as the Jade Forest, Valley of the Four Winds, Vale of Eternal Blossoms, Townlong Steppes, and the Kun-Lai Summit have been caught on video and in OKAY video quality. 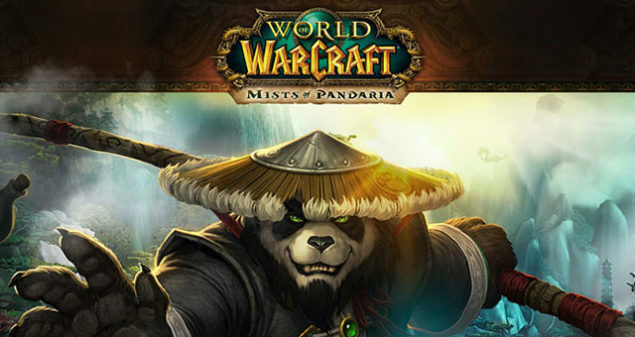 While the reveal of Mists of Pandaria was supposed to be this coming monday it seems that someone on Gamesradar accidentally uploaded the videos ahead of time and a small blog was able to catch the videos on metacafe; Mists of Pandaria is a new expansion pack headed for World of Warcraft which will bring a new class, more zones, higher level cap and more features which other expansion packs have been doing for a while now. The videos below show the new zones in Mists of Pandaria such as the Jade Forest, Valley of the Four Winds, Vale of Eternal Blossoms, Townlong Steppes, and the Kun-Lai Summit. If you are a fan of World of Warcraft and can’t wait to get your hands on an early look at the new zones then I suggest you watch the videos when they are available in a higher quality otherwise if you can look past the mediocre video quality then there should be nothing stopping you.